On January 27th the truck was delivered, a new DAF FAR XF 105. For Van der Haas this is the first vehicle equipped with an EEV engine. 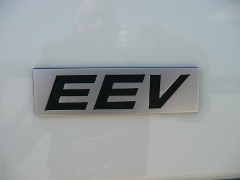 EEV means Enhanced Environmental friendly Vehicles. Vehicles with these engines have emission values which are below the strict EURO 5 standard.